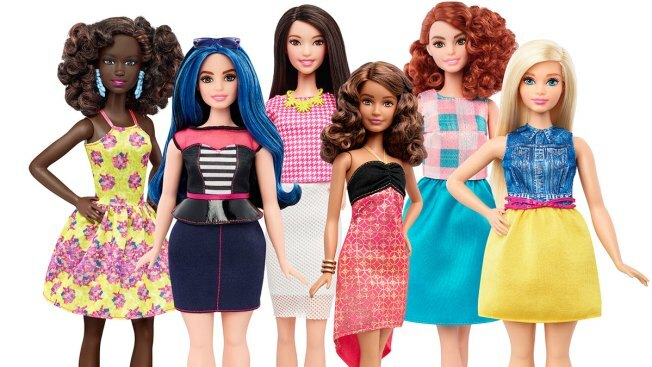 Barbie announced the expansion of its Fashionistas doll line to include three body types — tall, curvy and petite — and a variety of skin tones, hair styles and outfits. Barbie's got a brand new bod. Mattel Inc., the maker of the famous plastic doll, says it will start selling Barbies in three new body types: tall, curvy and petite. She'll also come in seven skin tones, 22 eye colors and 24 hairstyles. The El Segundo, California, toy company will also continue to sell the original Barbie. For years, the doll has been criticized for being an unrealistic representation of a woman's body. The new bodies are just the latest change for Barbie as Mattel seeks to appeal to girls who have turned to tablets and other toys. Last year, the company let Barbie kick her heels off and wear flats for the first time.